Join Mary Alice Monroe for the launch of her newest book The Butterfly's Daughter, enjoy a delicious buffet breakfast provided by Amelia Island's newest caterer, get a signed copy of the book and enjoy a demonstration on how to create a butterfly garden and an opportunity to purchase plants offered by Reflections of Nature. 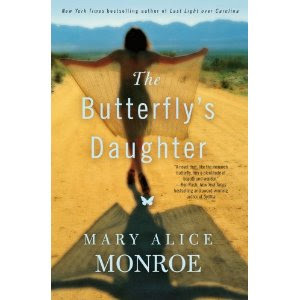 Mary Alice Monroe, NY Times best-selling author, will speak at the "Butterflies Are Free" breakfast event scheduled for Tuesday May 10 at St. Peter's Episcopal Church. Monroe spoke to a sold out crowd at the First Annual High Women's Weekend in May of 2011. Monroe shared, "I fell in love with Amelia Island when I visited in October and am excited to return. I met so many wonderful people who are committed to our environment. " The Butterfly's Daughter, like many of Monroe's books offers insights that resonate with women and offers wonderfully, educational information about the natural world-this time the monarch butterflies. 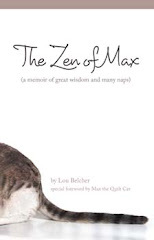 Mary Alice will discuss the powerful and inspiring parallels of self discovery with the miracle of metamorphosis and migration. The breakfast will benefit "Wild Amelia Nature Festival", May 18-20. Wild Amelia is an exciting 3-day festival celebrating the bio-region around Amelia Island and includes nature tours, photography workshops, green business expo, the "Kid's Niche", visiting critters from the Jacksonville Zoo. Check website - www.wildamelia.com for more information. Tickets are $50 and include a signed copy of the newly released The Butterfly's Daughter and a gift of milkweed seeds for your garden. James Loper, of Reflections of Nature will be available to offer tips on how to attract butterflies and have plants for sale. Tickets can be purchased at Red Otter Outfitters, Books Plus or the Golf Club of Amelia or contact Dickie Anderson at dickie.anderson@gmail.com, 904 556 6455. Tables can be reserved.